To introduce the public with research and scientific work of Master and Doctoral students of Latvian higher education institutions in an easily perceptible, interesting and engaging way. To find out which Master and Doctoral students have the best speaking and presentation skills in Latvia. Master and Doctoral students of Latvian higher education institutions and graduates who have completed their studies after January 1, 2017. Organizers or finalists from the previous «ResearchSlam» competitions cannot participate in the Competition. 1. The task of the competition is a presentation on a research project done by the participant (hereinafter – Presentation). It is limited in terms of time and format to enable participants to develop their presentation skills and to explain the essence of their work in a fluent and understandable way. Slides must transition automatically and the participant cannot control the slide transition speed during the Presentation. 3. Content of the Presentation must be linked to a research project the participant has developed or is involved in. In the presentation, it is advisable to reflect the novelty of the research, the results, and the possibilities of their further use in real life in an interesting and engaging way. 4. Presentation must be in Latvian or English. 5. Content of the Presentation must be developed in accordance with the LZP Code of Ethics for Scientists. 8. The application period ends on 21st November 2017 (12:00 Latvian time). The organizers of the Competition reserve the rights to extend this deadline by 1 or 2 weeks. The participant has submitted one minute long video. 10. In the cases when the application does not conform with the above-mentioned criteria, the organizers may request to complement the application within two days. 11. Those applications that conform with the criteria are further evaluated in the pre-selection. A team of organizers, with one or more independent experts, carries out the evaluation. In the pre-selection, the organizers evaluate the submitted Presentation topic and the participant’s motivation to participate in the competition, as well as the participants’ presentation skills based on the submitted video. 12. A maximum of 24 participants from all the applications are selected in the pre-selection (12 Master students and 12 Doctoral students). They are given the opportunity to participate in one of the three selection rounds. 13. Confirmation of participation in the selection round, each participant will be sent electronically to their e-mail address and published on the Website. 14. There are a maximum of 8 participants in each selection round. 15. When applying, the participant can choose the preferred date for their selection round. If all eight places are already filled-out, the organizers and the participant agree on a different date of the selection round. 16. All participants are invited to attend a seminar to improve their presentation skills before the selection rounds begins. 17. The program of each selection round is sent individually to the e-mail address of each participant at least one week before the selection round. It is also published on the Website. 18. If participant misses his or her Presentation time, he or she may be disqualified from the Competition. 19. The participant must send the organizers his or her Presentation materials no later than a day before the selection round. It is forbidden to change the Presentation topic right before the selection round. 20. In the selection round, each participant is given 400 seconds to present their research in the manner defined in Paragraph 2 of these Regulations. 21. After the Presentation, there is a 5 minutes long round of Q&A (questions and answers). Both the jury and the audience can ask the questions. 22. Participants are judged by the jury and audience in every selection round. The audience expresses their opinion by voting for their favorite participant with a ballot paper, while the jury evaluates each Presentation according to pre-defined criteria. Both the audience and the jury rating gives 50% of the participant’s total score. 23. In the selection rounds, the participants are evaluated by the jury based on 4 different criteria. Each criterion is assigned a mark from one to five (one is the lowest mark and five is the highest mark). Quality of the Presentation and speaking skills. where V(1-4) – the jury’s average mark for each criterion. Maximum total mark is 25. 27. The participants, audience and supporter are introduced with the jury members at the venue of each selection round. 28. The audience expresses their opinion by voting with a ballot paper for their favorite participants. One person can only vote for one participant. 29. The number of received audience votes (ballot papers) determines the opinion of the audience. Again, the participants are ranked from the 1st to 8th place (the participant with the highest number of received votes obtains 1st place, but the participant with the lowest number of votes – the 8th place). 30. The total score is the sum of points received by the jury and the audience ranking (the maximum score is 22 and the minimum is 2). Those two participants that receive the highest total score in the selection round go through to the final round. 31. If the total score is identical for several participants, the participant with the higher jury rating goes through to the final round. 32. In total, 6 participants are selected for the final round from all three selection rounds. 33. Those participants that did not go through to the finals compete for another place in the final round in online selection round. 34. In this selection round, the audience can vote for their favorite participants by liking (clicking “Like”) the participant’s video on Facebook (www.facebook.com/ResearchSlam) from February 12 to February 21, 2018 (9 Days). 35. The participant with the highest number of received “Like” period goes through to the final round. 36. The final round will be held on March 14, 2018. 37. A total of 7 participants compete in the final round – 6 from the selection rounds and 1 from online selection round. 38. All finalists participate in individual training before the final round to improve his or her Presentation and presentation skills. 39. In the final round, each participant is given 400 seconds to present their research in the manner defined in Paragraph 2 of these Regulations. 40. After the Presentation, there is a 5 minutes long round of Q&A (questions and answers). Both the jury and the audience can ask the questions. 41. Participants are judged by the jury and audience in the final round. The audience expresses their opinion by voting for their favorite participant with a ballot paper, while the jury evaluates each Presentation according to pre-defined criteria. The audience votes give 25% of the participant’s total score, but the jury’s evaluation – 75%. 42. In the selection rounds, the participants are evaluated by the jury based on 4 different criteria. Each criterion is assigned a mark from one to five (one is the lowest mark and five is the highest mark). 44. Based on the total mark, the participants are ranked from the 1st to 7th Each place receives points based on this ranking: 1st place – 11 points; 2nd place – 8 points; 3rd place – 6 points; 4th – 5 points; 5th – 4 points; 6th – 3 points; 7th- 2 points. 46. The participants, audience and supporter are introduced with the jury members at the venue of the final round. 47. The audience expresses their opinion by voting with a ballot paper for their favorite participants. One person can only vote for one participant. 48. The number of received audience votes (ballot papers) determines the opinion of the audience. Again, the participants are ranked from the 1st to 7th place (the participant with the highest number of received votes obtains 1st place, but the participant with the lowest number of votes – the 7th place). Each place receives points based on this ranking: 1st place – 11 points; 2nd place – 8 points; 3rd place – 6 points; 4th – 5 points; 5th – 4 points; 6th – 3 points; 7th- 2 points. 50. If the total score is identical for several participants, the winner is decided by the jury. 51. Final results are announced after the results are compiled and jury’s final meeting on 14 March 2018. 52. In the final round, the participants are awarded one 1st place, one 2nd place, and one 3rd place and appreciation prizes for 4th, 5th, 6th and 7th place, as well as additional nominations, which are announced at the final ceremony. 53. The participants receive scholarships based on the total score and jury’s decision in the final round. 54. The scholarships are paid after the competition. 55. The scholarship fund is 1900 EUR. 55. 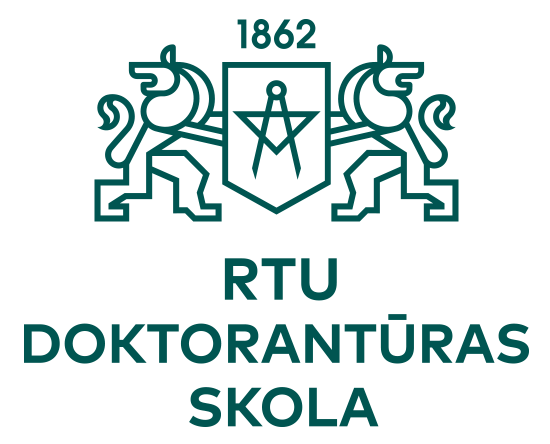 In the case of an argument, the decision on appropriate action is taken by the jury commission (both in the selection rounds and the final round) in cooperation with the Head of the RTU Doctoral School. 56. The Jury Commission does not need to provide explanations for its evaluation. 59. During the competition, contestants can be filmed and photographed. The material obtained can be used for advertising purposes. 60. 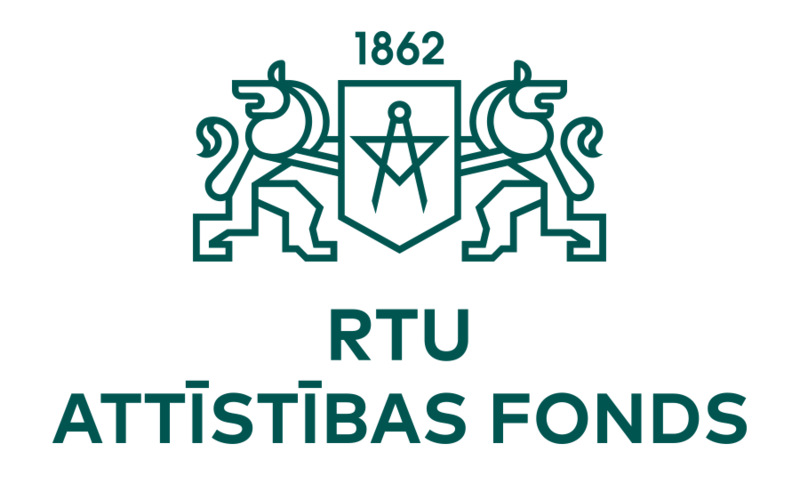 The regulations for the organization of the competition «ResearchSlam» have been issued in accordance with the regulations of the “Riga Technical University Development Fund” No. RTUAF-344 “Achievements in science”.